Hi beautiful! Yeah, you! Are you looking for a way to stay protected in the sun without sacrificing the fun of transforming your look with a few strokes of your makeup brush? It may not be much of a surprise that an easy solution to this common skin issue is makeup with built-in sun protection. Some women find trying the latest makeup trend for a new look gratifying, others prefer the bare-face appearance but apply foundation a couple times a week. The truth is, regardless of how often you use makeup, you should always prep and protect your skin with some form of sun protection. SPF makeup are your ordinary cosmetics, such as foundation, concealer, or powder, but these contain a skin-protective ingredient—sunscreen! 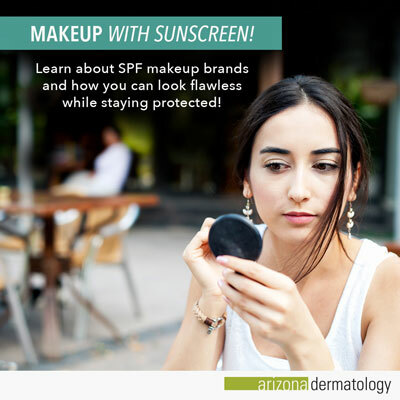 An SPF rating is applied to makeup to inform consumers of how much longer they can stay in the sun without suffering from severe sun damage, just as a bottle of sunscreen does. For instance, a person that applies a SPF 15 foundation can theoretically stay in the sun 15 times longer than someone with no sun protection at all. Hence why you have always been told the higher the SPF rating, the better protected you are from Ultraviolet (UV) radiation (which is the leading cause of premature aging, sunburns, and skin cancer). With enough makeup brands out there than a woman can keep track of, selecting the right product to test out can be overwhelming. As dermatologists, we recommend makeup that has a SPF of 15 or higher. We also recommend you apply ordinary sunscreen, in addition to SPF makeup. Making these two steps part of your everyday makeup routine can help ensure top of the line protection. Non-comedogenic skin care products are specially formulated to not clog pores. This helps refrain your pores from building up with dirt, oil, and dry skin cells, which reduces the chance of acne breakouts. You can also look for a non-comedogenic label when purchasing makeup without SPF protection, as you should always be cautious of what products might cause pimples and inflammation. For more information on how you can keep your face clean and clear of acne, check out our “10 Tips for Those with Acne” article. Hypo-allergenic makeup reduces the risk and likelihood of allergic reactions than ordinary makeup. It’s offered as a safer makeup alternative for people who suffer easily from allergens or have sensitive skin. Here is a list of our recommended SPF makeup brands with built-in sun protection. These brands provide quality protection in addition to a gorgeous look. Ladies, you don’t have to completely stop wearing makeup to promote healthy skin. By prepping your skin and preparing it for UV radiation, you can prevent severe skin conditions, such as fine lines and wrinkles, sunburns, and skin cancer. Below is a makeup routine that incorporates sunscreen and SPF makeup for a beautiful, yet protective look. Clean your face thoroughly with warm water, but be extremely gentle by using the tips of your fingers to make circular motions, starting from the forehead all the way down to your neck. After rinsing, gently pat your face dry as harsh rubbing can cause dry skin. As an additional step that many already incorporate into their makeup routine, apply a facial moisturizer to hydrate and add instant radiance to the skin. SPF moisturizers are available, however moisturizers only prep your skin for additional coverage and should not be used as your only form of sun protection. Don’t just reach for your nearest bottle of sunscreen. 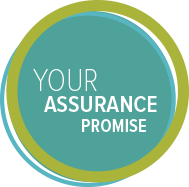 Take a minute to look at the label and check if it offers you the proper amount of protection. We recommend using broad-spectrum sunscreen of at least SPF 30 or higher. Broad-spectrum is extremely important as it protects your skin against both types of ultraviolent radiation. Once you have selected the proper sunscreen, start to apply a thin layer (using approximately one teaspoon) evenly to the face and neck—don’t forget the ears! Be careful not to use too much sunscreen as it can result in a shiny and greasy finish. When you’ve finished applying sunscreen, give it time to dry and absorb into the skin. Use this time to wash and dry your hands. If you need to, lightly dab your face with a tissue to remove any excess oil. It’s finally time to apply your makeup! As skin care experts, choose a foundation or concealer that has a SPF rating of 15 or higher. As we mentioned before, the higher the SPF, the better. BB Creams are new all-in-one foundations that have a higher SPF than ordinary foundation. We recommend using the Jane Iredale BB Cream, which we sell at Arizona Dermatology. (Yes, we love it that much!) Not only does your skin glow after application, but it does the job you expect your foundation to do. For instance, the BB cream covers blemishes, minimizes pores, and hydrates the skin—all while shielding your skin from the sun. Little do you know, lips are highly susceptible to sunburns because of their lack of melanin (pigment that helps protect the skin from the sun). Keep your lips hydrated by using lip balm or chapstick that have moisturizing ingredients: Vitamin E, shea butter, coconut oil, or beeswax. Brands like Chapstick and Sun Bum offer high SPF lip balms that not only hydrate, but offer substantial protection from the sun with the proper application. After you’ve applied your foundation, and added all of the bronzers and blushes to get your new look, set your makeup with a SPF powder. The powder helps keep your makeup in place and looking fresh, while adding an additional layer of protection to guard your face from UV rays. Sorry ladies! Your gorgeous look is no exemption to the rule: “reapply your sunscreen every two hours,” even when it comes to makeup. But there is a trick we’re here to share with you so that you don’t have to take off all your makeup in order to reapply your sunscreen. Purchase a quality setting spray or setting powder to apply every two hours. Makeup setting spray is available in fairly high SPF ratings. Brands such as Coola and SuperGoop! offer great setting sprays that offer up to SPF 50—both of which you can find online or at Sephora. Although it may take more coats than using a setting spray, using a strong SPF powder, (in addition to what you used to set your makeup) is another option for reapplying sunscreen. This way you can reapply a form of sunscreen over your existing makeup without smudging. You can now grab your makeup bag, because you’re good to go! Now that you understand the significance of SPF makeup and how to incorporate it into your current makeup routine, you can create gorgeous looks while protecting your skin from suffering severe sun damage. Remember to take off your makeup every day before bed, whether it’s SPF makeup or not; going to bed with a dirty face can cause major breakouts.